One day I was playing with a tool debookee (Network Traffic Interception) in the office, I noticed that the tool was intercepting facebook cookies in a plain text. Debookee is able to intercept and monitor the traffic of any device in the same subnet, thanks to a Man-in-the-middle attack (MITM)It allows you to capture data from mobile devices on your Mac (iPhone, iPad, Android, BlackBerry…) or Printer, TV, Fridge (Internet of Things!) without the need of a proxy.This interception is done in 1 click and is totally transparent, without network interruption. Now Getting facebook cookies in a plain text was not a intended behaviour as facebook uses SSL to transfer cookies and other data over HTTPS protocol. Again I tried If I get any other website’s cookies and I noticed that I was able to grab all website’s SSL traffic into plain text. I asked my colleague and he said that he has configured burp proxy into a browser and he is surfing facebook and other websites. When any user uses burp suite, user installs CA-Certificate which trusts burp to intercept all the SSL Traffic into plain text. Once user sets up a proxy, Browser sends all the traffic in burp suite in plain text. now when I run Debookee, Burp Suites thinks that Debookee is a upstream proxy and by design, burp suite does not force SSL Certificate into upstream proxy which means burp sends all the data to me/Debokee in a plain text. 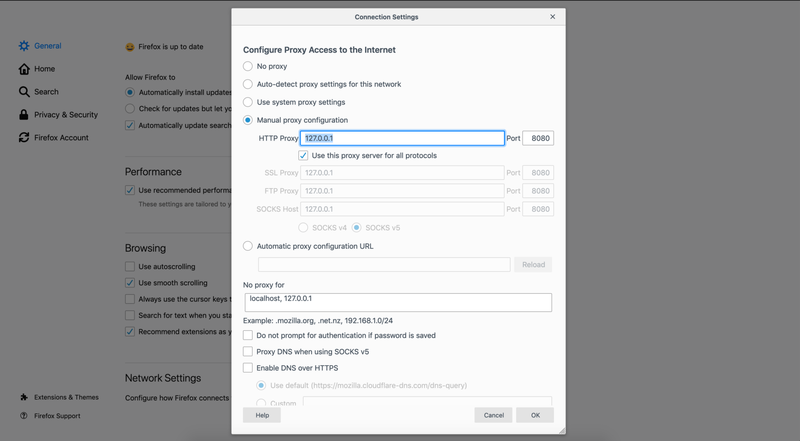 Burp doesn’t enforce upstream SSL trust by design but they will push a feature with a SSL enable toggle option in upstream proxy. I hope you guys like it. Hit me up on twitter if you guys have any queries.